Welcome back to those of you who have been away for the summer! (I understand that we did actually have a summer, even though it seems like yesterday that we were celebrating our May 2013 graduates.) In addition to the start of our new academic year, August brings the Indiana State Fair, our College of Agriculture New Faculty Tour, our summer PCARET meeting … all opportunities to engage the stakeholders of our College. At the Indiana State Fair, Purdue Agriculture and Purdue Extension are everywhere. From staffing displays in the DuPont Food Pavilion and booths on Purdue Day, to supporting the more than 20,000 4-H exhibits at the Fair, to participating in the Pioneer Village (sponsored by our Purdue Ag Alumni Association), to many, many stakeholder meetings—our faculty, staff, and students are deeply involved in the Fair. The Indiana State Fair is a showcase for agriculture, youth, and education – and a great partner of our College. Near perfect weather this year has meant record attendance, and if you have not yet visited the Indiana State Fair (it closes Sunday, August 18), I certainly recommend it! And, my deepest thanks to everyone across Purdue Agriculture and Extension who has played a part in making the 2013 Indiana State Fair a success. At the Indiana State Fair, the Purdue Agriculture New Faculty Tour, and other events where we have the chance to engage stakeholders, I try to do a lot of listening. I hear what they think we are doing well and where they believe we can improve. They ask why we have stopped doing some things and why we don’t start doing some others. I learn a lot about where our stakeholders think our College should be going in the future. Purdue Agriculture enjoys terrific support in our state, but our stakeholders want us to be better—and they have some great ideas about how we can be better. It is time for us to again ask these kinds of questions as a College—broadly, deeply, and with a focus on our future. How do we become the nation’s leading example of a land grant College of Agriculture? What truly distinguishes Purdue Agriculture in the areas in which we work? How do we become the premier provider of value to our stakeholders through teaching, research, and Extension? How do we become the workplace where faculty and staff want to be? Believe it or not, it has been five years since we last asked questions like this in an intentional way College-wide. This academic year, we will be engaging each of you, our students, and our stakeholders in a conversation to set the direction of the College for the next five years. More information on the process will come soon, and I am looking forward to doing a lot more listening over the coming months as we lay the foundation for a College of Agriculture that truly defines what it means to be a 21st century land-grant institution. As excited as I am about kicking off our strategic planning process, I am just as excited about the initiatives we will be moving forward on this academic year. Some of these include the recently announced AgSEED grants program (read the Call for Proposals in this issue); the Distance Education Task Force led by Dr. Jennifer Dennis; the Diversity and Inclusion Task Force led by Dr. Pam Morris; the new recruiting strategy and issues engagement program being developed by the Academic Programs team and our faculty and staff; our engagement in life sciences economic development initiatives (discussed in the last issue of InFocus); a total of 14 new faculty searches; some very exciting new University-level initiatives we are working on; and much, much more. I had the opportunity to have dinner with some of our incoming students recently at the 4-H Youth Leadership Institute at the State Fair, and it is impossible not to get caught up in their excitement and enthusiasm about beginning their college experience at Purdue Agriculture. Likewise, I wish I could bottle the energy that 5000+ incoming Purdue students demonstrated during the New Student Induction Ceremony held last Sunday night in the Elliott Hall of Music. This is an exciting event where the real reasons a student comes to Purdue are made very clear (and I get reminded again about ‘why we do what we do’). We have a terrific new group of undergraduate and graduate students joining us this fall. It promises to be a very exciting academic year and I wish each of you a very, very successful semester. Grant Burcham has been appointed veterinary diagnostician at the southern Indiana branch of the Indiana Animal Disease Diagnostic Laboratory, based at Purdue. 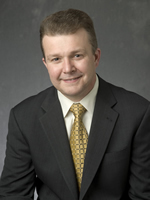 Burcham will begin his work as head of the Heeke ADDL lab in Dubois County early in 2014. He is finishing Ph.D. work in the Department of Comparative Pathobiology at Purdue and will begin at the Heeke laboratory when that is completed. The appointment was announced by Stephen B. Hooser, director of the ADDL. Burcham earned a master of science in veterinary pathology in 2010 and a doctorate of veterinary medicine in 2007 from Purdue and a bachelor's degree in biology in 2003 from Hanover College. He is a diplomate of the American College of Veterinary Pathologists. Ruth Ann Weiderhaft has joined the staff in the Dean’s Office as administrative assistant to Dean Jay Akridge, succeeding Nancy Aldridge, who retired at the end of July. Ruth Ann has spent most of her career at Purdue: she served as administrative assistant to Dr. Al Rebar when he was Dean of the College of Veterinary Medicine and as Director of Discovery Park. Most recently, Ruth Ann was Communications Specialist with the Global Policy Research Institute. Ruth Ann brings deep experience and University connections to her new role, as well as a great sense of humor! Ruth Ann and her husband, Rick, have four sons, two daughters-in-law and, most important, she says, two grandkids, Ava (4) and Connor (3). Nineteen new Agriculture faculty and staff joined Dean Jay Akridge and Associate Deans Marcos Fernandez, Jason Henderson and Karen Plaut for the 2013 New Faculty Tour on August 7 and 8. Each year we take our newer faculty members on a tour of a region of Indiana to become more familiar with its food, agriculture and natural resource systems. It is a great opportunity for our new faculty to connect with some of our alumni and stakeholders around the state and learn about the breadth of Indiana agriculture and agribusiness. This year's tour covered Southern Indiana, including a stop at Graham Creek Farms, owned and operated by George and June Corya and family in Commiskey, Indiana. Nominations are now being accepted for this year's Frederick L. Hovde Award of Excellence, given annually to a member of the Purdue University faculty or staff with an outstanding record of educational service to rural Indiana. Any active member of the faculty or staff is eligible for nomination. A person's contributions may have been in the classroom, in counseling, in research or through Purdue Extension. "Faculty and staff members at Purdue who have been honored with this award greatly improved the lives of the rural people of Indiana through exemplary work, commitment and service," said Jason Henderson, director of Purdue Extension. "It is important that Purdue recognizes one of its own for such outstanding dedication, and we look forward to recognizing yet another nominee who has demonstrated excellence in service to the state of Indiana." Nominations are now being accepted for the top two annual awards of the Purdue College of Agriculture and its Agriculture Alumni Association recognizing achievement and service to the agricultural profession. The Distinguished Agriculture Alumni Award recognizes mid-career alumni of the College of Agriculture who have a record of outstanding accomplishments, have made significant contributions to their profession or society in general and exhibit high potential for professional growth. The alumni association's Certificate of Distinction recognizes those who have contributed to agriculture through professional accomplishments, activity in organizations, community service and other activities that make the nominees a credit to their profession. Nomination deadlines are Aug. 30 for the Distinguished Agriculture Alumni Award and Oct. 1 for the Certificate of Distinction. Ian Kaplan, Entomology, was recently selected to receive the 2013 International Organization of Biological Control (IOBC) Early Career Outstanding Scientist Award. Nominees have less than 10 years post PhD experience with significant contributions to the field of biological control through research, teaching, and/or extension/outreach. The award will be presented at the IOBC-NRS meeting at the Entomological Society of America meeting in Austin this November. Roberto Lopez, Horticulture and Landscape Architecture, was part of a multistate team that received the American Society for Horticulture Science (ASHS) Outstanding Extension Educational Materials Award for their e-GRO: Electronic Grower Resources Online website. 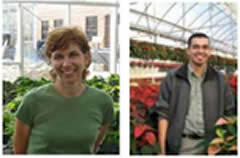 e-GRO.org is a collaborative effort of floriculture specialists that provides a central clearing house for alerts about disease, insect, environmental, physiological and nutritional disorders being observed in commercial greenhouses. The award was presented on July 23 at the ASHS Annual Meeting in Palm Desert, CA. Diane Camberato and Roberto Lopez, Horticulture and Landscape Architecture, along with UNH colleague Prof. Brian Krug, received the OFA Alex Laurie Award for the most significant applied floriculture research paper published in 2012: Development of Euphorbia pulcherrima under Reduced Finish Temperatures. HortScience 47(6):745–750. The award was presented during the OFA-Association for Horticulture Professionals Short Course in Columbus, Ohio in July. Kathryn Orvis, YDAE, is being recognized with a specialty award for 'Search for Excellence in Teen Programming' from the National Association of Extension and 4-H Agents. Kathryn and team members will be presented the award during the Galaxy Conference in September. Chris Oseto, Entomology, has been elected as a Fellow of the Entomological Society of America. The ESA Governing Board elected ten new Fellows of the Society for 2013. This award acknowledges outstanding contributions in one or more of the following: research, teaching, extension, or administration. Fellows will be recognized during Entomology 2013 – ESA’s Annual Meeting to bebe held November 10-13 in Austin, Texas. Garrett Owen, entering Ph.D. student in Roberto Lopez’ lab, has been selected as one of six OFA Scholars in 2013. The OFA Association of Horticulture Professionals provides an enrichment experience for graduate students in floriculture that includes professional development activities, educational experiences, and mentorship by industry leaders. Three Horticulture and Landscape Architecture students doing research under the Light-Emitting Diode USDA SCRI grant were award winners at the American Association for Horticultural Science (ASHS) Conference in Palm Desert, CA for their oral presentations: Undergraduate Oral Competition: Michael Dzakovich - A Semiyearly Study on the Effect of Light Quality on Flavor of Greenhouse Grown Tomatoes: LED Versus HPS – 3rd place; Controlled Environmental Oral Competition: Celina Gomez – Comparison of Light-emitting Diode Towers Versus High-pressure Sodium Lamps for Year-round Production of High-wire Greenhouse-grown Tomatoes - 2nd place; Wesley Randall – Determining the Effectiveness of Red and Blue Light-Emitting Diodes as Supplemental Lighting during Seedling Propagation - 3rd place. Janna Oxford and Katie Pitts, both seniors in Agricultural Education, received a 2013 NAAE Upper Division Scholarship Award. Only 15 are awarded nationwide. Earlier this year, the College of Agriculture received a $1.25 million increase from the Indiana State Legislature Crossroads program to support agricultural research and Extension in Indiana. With this increase in funding, the College has established AgSEED, an internal competitive grant program. This is currently a two-year program focused on applied research/extension and basic research that fit the strategic themes of the College with a focus on plant or animal agriculture and rural development. AgSEED is open to faculty and staff in the Colleges of Agriculture, Health and Human Sciences and Veterinary Medicine. The current funding period is one year and up to $50,000. A few two-year grants may be awarded up to $75,000. Click here for more information on AgSEED proposals. Proposals must be submitted to the Pre-Award office by October 1, 2013 at 4pm. We are excited to see what innovative and creative research ideas are ready to be realized! Please direct questions to Meredith Cobb, mcobb2@purdue.edu or 494-3951. Research conducted by Michael Gutensohn, postdoctoral research associate in the lab of Natalia Dudareva, distinguished professor of biochemistry and horticulture, finds that some compounds that determine plant species' characteristics such as the taste of tomatoes can be engineered to produce larger quantities in plants that have few or none of them. Tomatoes available in the Northern states typically are grown in warmer climates, such as in Florida, California and Mexico, and harvested immature and still green so that they can ripen during or after shipment. But picking them before they are ripe affects their flavor, which has led to complaints from consumers. "The research ultimately could lead to a variety of uses, such as in improving the taste of fruits including fresh-market tomatoes, in increasing the resistance of plants against pests or diseases, or in producing certain flavors, fragrances and pharmaceuticals," said Dudareva.The research was conducted with collaborators at the University of Michigan and in Israel. It was published in the August edition of The Plant Journal as the cover story. The business of raising fish may still be relatively small in Indiana, but it is a growing part of the state's agricultural economy, a Purdue Extension report concludes. Estimated sales from Indiana fish farms amounted to more than $15 million in 2012, an increase from $3.5 million in 2006, according to the publication Economic Importance of the Aquaculture Industry in Indiana. There are about 50 fish producers in Indiana, compared with 18 just seven years ago. "While aquaculture is not the most well-known industry in Indiana's agriculture sector, it is definitely present and very important to the state's economy," Kwamena K. Quagrainie, aquaculture marketing specialist in the Department of Agricultural Economics, said in the report. He conducted the study with graduate student Megan C. Broughton. The U.S. Department of Agriculture on August 12 predicted the nation's largest corn crop in history and the third largest soybean crop - a stark contrast from a year ago when crops were devastated by drought. In its annual August crop production report, the USDA's National Agricultural Statistics Service projected a national corn crop of 13.8 billion bushels on 154.4 bushels per acre - a 28 percent increase over last year's 10.7 billion bushels. The previous record was 13.09 billion in 2009. Soybeans are projected at 3.26 billion bushels on a yield of 42.6 bushels per acre, up 8 percent from last year's crop of 3 billion bushels. The drought reduced last year's corn harvest to its lowest level since 10 million bushels in 2003, and the average bushels per acre was the lowest since 113.5 in 1995. 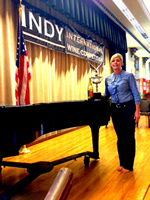 The top award in the Indy International Wine Competition has gone to an Indiana winery for the second year in a row. Huber's Orchard, Winery & Vineyards of Starlight, Ind., won Wine of the Year for its 2012 Vignoles in results announced on August 2, besting 2,300 other wines in the three-day competition at Purdue. Entries from 39 states and 14 countries, including France, Australia, Chile and Greece, were judged on appearance, aroma, taste and aftertaste by 44 international judges. "For an Indiana winery to win Wine of the Year is very exciting for the Indiana wine industry," said Jeanette Merritt, marketing director for the Purdue Wine Grape Team, organizer of the competition. "Indiana wines are outstanding, and Huber's not only showed that, but all of our wineries proved that in the amount of medals they won this year." Having more than two sets of chromosomes can increase a plant's ability to take up nutrients and survive in saline soils, a joint study by Purdue and the University of Aberdeen shows. Researchers found that polyploidy, the condition of having more than two genome copies, causes the flowering plant Arabidopsis thaliana to accumulate a greater amount of potassium in its leaves and demonstrate a higher tolerance to saline environments. Most flowering plants are diploid, having two copies of a genome. "Polyploidy has an immediate, direct influence on the accumulation of required nutrient elements in plant leaves," said Brian Dilkes, Horticulture and Landscape Architecture. "This shows how polyploidy can play a role in plant adaptation and may explain why genomes in plants evolve the way they do." Where the Indiana agricultural economy might be headed in 2014 will be the topic of a webcast from Purdue University on Aug. 16. The all-day program involves the in-depth outlook in 10 subject areas presented by professors from the departments of Agricultural Economics and Animal Sciences who are experts on their topics. There is no fee, and no registration is required. Participants are encouraged to check the schedule for presentation times of topics of their interest. They can watch the program on their computers, tablets or smart phones. The webinar will begin at 8:30 a.m. EDT with a discussion of the prospects for the U.S. and global economy. This will be followed by an update of the agricultural policy stalemate in Washington, D.C., and the prospects for Congress working through their differences toward a new farm bill. Panelists' preferences in a taste test were nearly equally divided between chicken patties fried in a radiant fryer developed by Dr. Kevin Keener, Food Science, and those fried in a conventional oil immersion fryer, a study showed. While panelists preferred the flavor and less oily texture of the radiant-fried patties, they preferred the crispiness and appearance of immersion-fried chicken patties. Panelists were split on their overall preference: 34 favored the radiant-fried patty, and 33 selected the immersion-fried patty. One panelist did not indicate a preference. "The key is that consumers are showing a willingness to eat food products cooked with a radiant fryer," said Keener. He and two colleagues developed and patented the radiant frying system in 2007. The radiant fryer uses infrared energy to produce the appealing crispy exterior unique to fried food. Two workshops in September will help landowners learn how to create outdoor businesses to generate extra income. Experts and business owners will talk about revenue potential, wildlife habitat management, and liability and legal considerations at the Natural Resource Enterprises workshops, of which Purdue Extension is a sponsor. The pros and cons of various types of outdoor businesses - such as hunting leases, vacation rentals, agritourism, trail riding and Christmas tree farms - will be discussed. "We help landowners learn about generating supplemental income from their property," said Brian MacGowan, Purdue Extension wildlife specialist and forestry and natural resources Extension coordinator. The Natural Resource Enterprises program is a partnership among Purdue, Mississippi State University and the Indiana Farm Bureau. 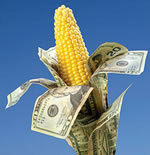 Purdue University will once again partner with Ohio State University to help present educational programming and exhibits at the 2013 Farm Science Review. The Review runs Sept. 17-19 at the Molly Caren Agricultural Center in London, Ohio. This year marks the 51st time Ohio State's College of Food, Agricultural and Environmental Sciences will offer the farm trade show, which merges agricultural education, science and technology through presenters, exhibitors, vendors and field demonstrations. More than 130,000 visitors from the U.S. and Canada attend the show each year to learn about advances in agricultural research, conservation, family and nutrition, landscape and gardening. Nearly 4,000 product lines will be on display by 600 vendors. Nominations are being sought for the 2013 CICP Faculty Commercialization Award. The Faculty Commercialization Award will involve a cash prize of $5,000, as well as official recognition at a major campus event and at the Inventor’s Recognition Dinner. The award recognizes Purdue tenure-track faculty members and research scientists who have been most active and/or successful in their efforts to contribute directly to the commercialization of Purdue-generated/owned technologies. Nominations should be submitted to John Schneider (jas@purdue.edu) by September 6, 2013. Nominations can be sent electronically, faxed (496-3829) or by campus mail (OVPR/HOVD). The award is expected to be presented by the end of the calendar year. Please contact John Schneider by email or phone (494-5532) with questions. A free annual physical and 90 minutes of paid release time are available through the Healthy Living at Work pilot that began Aug. 1 and runs through Dec. 31. All benefits-eligible, hourly employees at the West Lafayette campus who are covered by a Purdue medical plan are eligible to participate in the pilot. If the pilot is successful, Purdue will offer a program in 2014. "We hope the Healthy Living at Work program will make it easier for our employees to get away for their annual checkup and take care of themselves," says Luis E. Lewin, vice president for human resources. Rivals on the field are uniting in the laboratory to transform cancer research through a collaboration of Big Ten university cancer centers, including the Purdue University Center for Cancer Research. "The Big Ten Cancer Research Consortium allows us to more easily work together, tap into each other's expertise and share resources," said Tim Ratliff, the Robert Wallace Miller Director of the Purdue Center for Cancer Research. In addition to combining the scientific and clinical expertise of the Big Ten universities, the consortium eases the processes involved in collaborative clinical trials. The consortium will establish one internal review board to approve proposed trials, eliminating the need for review and approval from each university's internal review board, Ratliff said. Specific building information is found in the Building Emergency Plan (BEP). The BEP is normally maintained by the Building Deputy. Please be sure your students understand that “shelter in place” means that they should not leave the building when the outdoor sirens are sounded. Moreover, if the building fire alarms are activated, everyone must evacuate the building and should proceed to their emergency assembly area as specified in the BEP. Thank you for your help and cooperation in keeping our entire Purdue community a safe place to work, study, and live.